Tata Motor Group is one of the most prestigious and acclaimed automobile manufacturing company in the country. 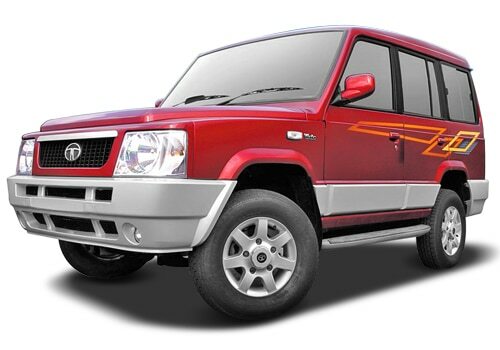 Tata Cars are admired across the country for their low cost maintenance as well as impressive mileage. Even the used tata cars have a flourishing market with many buyers preferring these cars for their economical prices and impressive engines. One of the best SUVs from the stables of this prominent automotive manufacturer is Tata Sumo Gold. This SUV is powerfully built and is capable of taking on any road condition in the country. Tata Sumo Gold has won several rallies with its brilliant performance as well, most recently the 2012 Desert Storm rally. This rally is said to be one of the toughest competitions and spans more than 3500 Kms, starting from Ahmadabad in Gujarat and ending in Delhi. Tata Motors has a dedicated sub-division for motor sports called Tata Motors Full Throttle and they organize several such events where SUV aficionados can participate. This division will organize a one day off-road rally, which will cover a 300 Km route starting from Jaipur and will also conclude in the same city. This event is going to be held from the 9th till 10th of this month and is labeled TATA MOTORS BLAZE DE RAJASTHAN and there is speculation that this competition will also be won by the muscular Tata Sumo Gold. The Tata Sumo Gold Price range is between Rs. 5.45 lakh and Rs. 7.10 lakh (ex-showroom New Delhi) and it has quite a few variants equipped with various comfort and safety features. The exteriors of this well built SUV are not very flamboyant, but are strong enough to excel on any terrain in the country. The front is dominated by a decent radiator grille and a broad head lamp cluster, which is fitted with high power lights and to enhance visibility; a set of fog lamps have been integrated in the front bumper as seen in the Tata Sumo Gold Pictures. This SUV has a 2956cc CR4 Turbo diesel engine with best in class acceleration that gives an exhilarating driving experience as stated in a Tata Sumo Gold review. This SUV is also packed with several impressive features such as an efficient air conditioning system, a music system and safety features like keyless entry and an engine immobilizer, among many other interesting features, which will certainly impress the buyers. Meanwhile, several other SUVs such as Tata Safari Storme, New Chevrolet Captiva, Renault Duster, Audi Q3 and Premier Rio Diesel are expected to be launched very soon in the country. I shared that Chevrolet Sail Hatchback, Looks to Kill For.